Spring is the perfect time for strawberries and booze. Also a great time for this shot, inspired by the seasonal flavors of a traditional strawberry shortcake recipe. 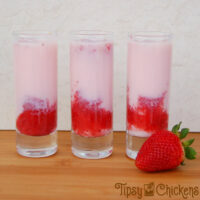 This Strawberry Shortcake Shooter recipe is very cute, very pastel and very powerful. Don’t let the sweet appearance fool you, it goes down quick and easy and it’ll sneak up on you! The base for this drink is frozen strawberries. I used frozen sliced strawberries from the Target store brand. Make sure they don’t have any added sugar or your drinks will be way too sweet. Thawed strawberries make a great puree, the freezing breaks up the cells in the berries and makes them release their juices. 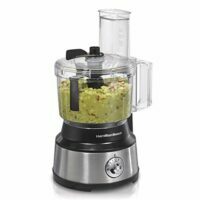 Pour them into the food processor and whirl until liquefied. 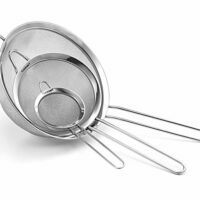 If you want to get fancy you can press it through a sieve to remove the seeds. I’m not fancy so I left them in. I used an entire bag of strawberries, because strawberry puree is amazing on ice cream, waffles, anything that stands still long enough. Store the extra in the fridge. The cake flavor for this drink came from cake flavored vodka. I grabbed a bottle of Three Olives Cake Vodka. It was affordable and the bottle was adorable. It’s almost sad how easy it is to tempt me with a cute bottle. I was surprised by how strongly the vodka smells like cake. I was expected a half-hearted vanilla and butter scent but it really smells like cake! It adds the perfect bakery notes to the cocktail. Even though I added pure strawberry puree to the drink I wanted to add in some more strawberry flavor and a touch of cream. I picked up a bottle of Tequila Rose to check both of those boxes. 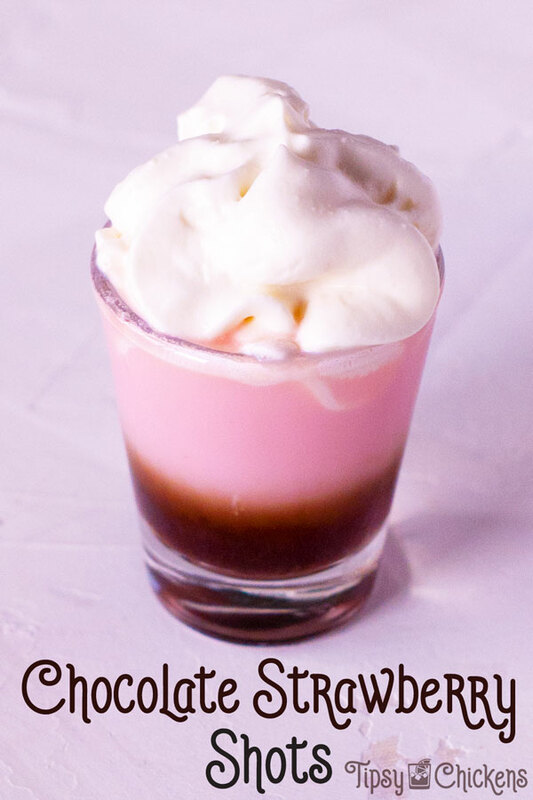 Tequila Rose is a strawberry cream liquor with, you guessed it, tequila. It’s a milky pink, very pastel and it’s responsible for the opacity of this drink. 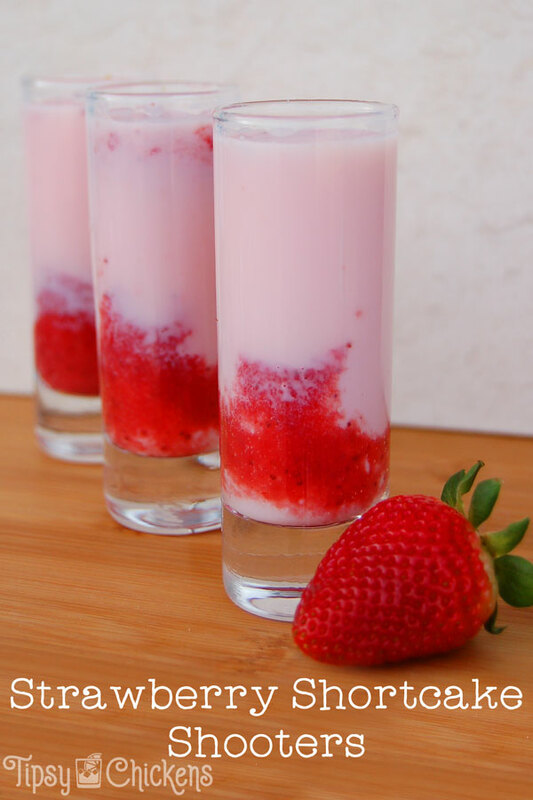 Start building the drink by adding a small spoonful of strawberry puree to the bottom of a shot glass. Top with equal amounts of cake vodka and Tequila Rose. You can ball park it or get fancy bar tender equipment. Give it a quick stir to get the strawberry mixed in. 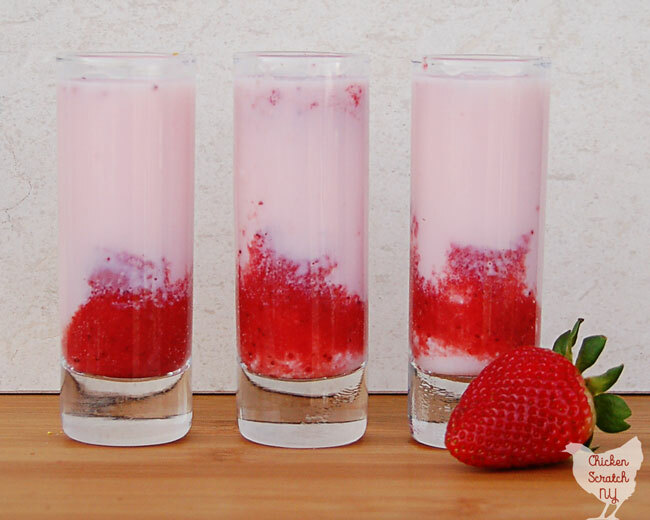 The strawberry gives it a thicker texture than a normal shot. If you’re not a fan of thick drinks you can skip the strawberry puree all together in favor of a very alcoholic beverage. 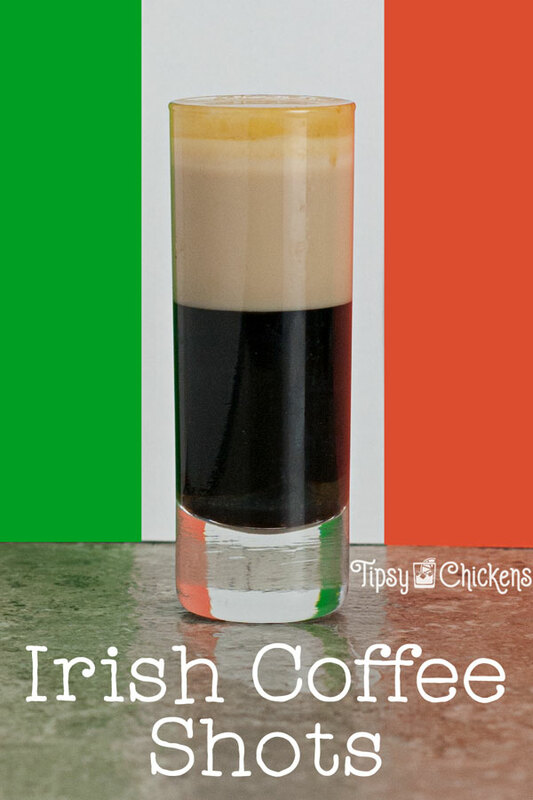 Mixing everything up in a shot glass can get a little messy and tedious so I recommend making up a batch in a glass measuring cup and pouring it into shot glasses to serve. Or you can grab your cocktail shaker and mix them up that way. Or drink it yourself out of a rocks glass. I’m here to inspire, not to judge. 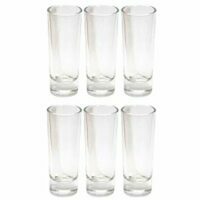 I had to go to 4 stores looking for shot glasses before I finally found these on clearance at Target. Don’t forget to PIN this to your Drinks board! Puree thawed strawberries in a food processor until smooth. If you want a completely smooth puree press through a sieve to remove the seeds.